How to start a blog in Canada? The fact is that it’s not necessary to have any kind of super knowledge. Even if you have never written anything, it does not mean that you definitely need to take a copywriting art course. On the contrary, do not bother with established rules and stereotypes. Write simply and easily, in your own style. As if you just talk with your buddies. Another misconception, which is common among beginners, is the belief that one must necessarily be an expert in a particular field. But who told you about it? No, get rid of boring stories. Publish articles that are written in the form of stories. For example, the stories of success. So, the main thing is your desire to write and knowledge of how to set up a blog. You can use some free platforms in order to save, but this way has some drawbacks. First, you don’t get one of the best names, be ready to have the platform name in your own name. It is clear that you always have an opportunity to buy a domain and use it on the selected platform, but you still publish the texts on a resource that does not belong to you. The use of free platforms is a limitation in their functionality: failure to connect the plug-ins you need; some restrictions on the loading of visual content (photos and videos); problems with changing the design, etc. Above all, the blog is not your property. The platform owner has the right to remove it completely at any time. For example, if someone complains about your articles, All the efforts to make your own blog would be in vain. It is recommended to use a free platform only if you want to sharpen the art of writing articles, to analyze how interesting the chosen topic is. Later, when you are finally ready to start your own blog, you just transfer all the articles that were written earlier. Write about something that you are concerned about and what is interesting to you. Otherwise, you get tired quickly. If it is a website for earnings, then choose the most commercial topic, so it will be easier to make money later. How to start writing a blog to attract a lot of readers? That’s easy. Look for articles on the same topic on the Internet, study them well, highlight the main things; prepare the structure of your article – all the items should be arranged in a logical sequence; write an article, focusing on the structure; publish the article adding visual content. If you want to know how to create your own blog, you probably know what you are going to write about. Define your target audience and always remember these people when looking for a new topic for another article. Sometimes people are in need of new ideas. You should know how to do a blog and what to write about, what readers could be interested in. Here you can find several ideas for your articles. Let’s read the full list. Perhaps you are really into literature, so you are eager to know how to start a book blog. It’s a pretty popular thing on the Web, and real bookworms always live in here. They are waiting for your reviews, advice and ideas. Do you like reading about fashion and often think of how to start a fashion blog? What are you waiting for? If you have a lot of readers, maybe your outfits are interesting for them . Perhaps you will open a new store for someone or tell them where to buy things cheaper. How to start a food blog? Your actions must be clear. Use short and easy words, accompany them with simple actions, use the most common tools and ingredients. Lessons can be interesting and enjoyable. Try to joke and find the original content. They should remember you. How to start a travel blog? Travel-blogs will always be interesting to the audience, each traveler has a subjective view of culture, particular color and communication. The more detailed and useful you present the information, the more viewers will be attracted. Do not be afraid to show yourself as a person during your stories. First of all, your travel blog is a blog about you, and then about travel. It’s better to find your own way of how to write blogs. Don’t be afraid to be different or even a little bit strange. Maybe some of us will find inspiration in your texts, photos and videos. 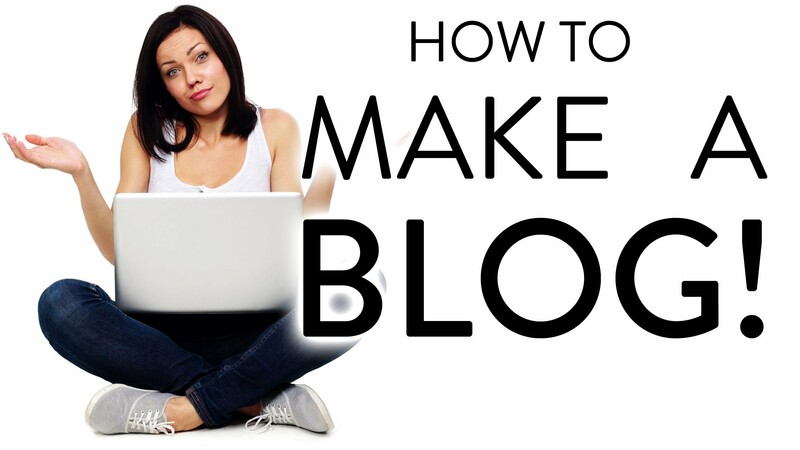 Any blog starts with these simple steps. Some of them aren’t difficult, but others may take some time. So, how do I start a blog? Every day there are thousands of new blogs on the Internet, but not all of them are active. In most cases, this is due to the fact that people do not see results at the very beginning and give up. Before you know how to create a free blog, you have to understand that it is not a sprint, but a marathon. Make a plan for publishing articles and follow it. To make a blog for free – sounds like a good idea. Let’s look at some difficulties you may encounter when choosing a free option. At the time when you work on creating your own content (articles, photos, videos), these free platforms will earn by placing ads and selling additional services to you. If you want to change something in the design or the code, then you can’t do this. This blog does not belong to you, it means you don’t have control over it. You are not able to install free plugins that make the blog much more convenient. You can’t sell such a blog to another person or company, because it does not belong to you. Among the existing platforms let’s highlight two, which are the most interesting ones to make a blog website. the ability to fine-tune the blog – users have access to HTML and CSS +. But it has some disadvantages too: if you want to back up your materials, it wouldn’t be easy; there are certain difficulties with importing information from other resources. the owner of the blog has access to the HTML code. your blog name will be .blogspot. How to start a blog for free? Just choose a platform you like and start setting it up! How to start blogging? Why should you create a blog today? Income. Making a blog can be a very lucrative job if everything is done correctly. A lot of popular bloggers who build a blog are known as professionals in their work and it’s only thanks to their blogs. If you are interested in your topic, then it will give a lot of benefits, including earnings. You will be able to establish partnerships with other top bloggers. Start a blog for free in Canada, find like-minded people and share your ideas and experience with them. It also helps to improve copywriting skills and you learn how to structure your thoughts. There are some secrets of how to make a good blog. You are free to find a plenty of them on the Internet. Watch and read top bloggers’ materials who have more than a million of subscribers. Brevity is the soul of wit, so very long posts are in the past. Nobody has time to read your “novels”, people work all the day and then come home exhausted, so let them just relax. In today’s hastening world, most people do not have the time to read something that does not benefit them and does not help improve their lives somehow . It may seem difficult, but don’t get upset. It is not necessary to talk about something significant. For example, it could be a professional makeup masterclass or a manual for using a new online service. How to start my own blog and interest readers? Wake your audience up, play prizes or money. Real prizes stimulate people better. As you’d have noticed, the question “how to start a free blog” is not the only one which holds great significance. You also need to know how to do it right, what are the best things to offer your readers and find out about all the opportunities you have to earn money.